"Your Personal Real Estate Think Tank Team, bringing you the best of the "Rain" Real Estate Network!" We will strive to put all of the Network pieces of the puzzle together for readers in the new Blog. Our New site has been a much needed and long sought after feature and tool for both us and for our members. Until now, our posts have been scattered all through-out the community and network and in many cases, lost or buried in the Blogosphere on AR. With the launch of our new ActiveBlogs, we'll now have the ability to create new and focused group content for our members and viewers. It will be useful and easy to access, all in one location, all in one group Blog. This will benefit both our staff and our members. The Official ActiveRain Team Blog, come see what we're up to, calls for thunder, lightning and RAIN! Do consumers even visit ActiveRain? I think this will be very helpful. Plus it should provide some great ideas for brokers on how to build their own team blogs. Great idea and a great way to watch how the new team blog will look and work. Awesome!! I'm thrilled that all of the posts will be in one place and also am looking forward to next weeks ActiveRainGuide.com launch. I'll be teaching a blogging class next month at our office and I'm asking everyone to bring a laptop so that I can help them through signing up to AR. That one stop guide will be easy for all the new people. get lost at times even if they do get featured. This way they are all in one place and it sure makes it easier for us to keep up for the numerous changes going on Thanks for all you guys do and take care. Rock on !!! That is a very powerful and informative blog !! Best real estate resource on the net ! Testing the comments from the outside world. Just making sure visitors can comment on this post. Great! I am a power shopping woman and I love "One Stop Shopping"! So can we assume that everything you post will be there or will you post other things in your ActiveBrad blog? Will there be a link on the main page to take us to this blog? Thanks so much for keeping AR fresh and new! Very cool Brad. I can hardly wait till those of us who have an outside domain can get our blogs operational. Brad, I have been training a group of new members about AR and have been looking for one place for them to go to learn the maximum about AR...now I have it. Be sure to include all of your old posts...the how to's etc. Thanks! Brad - I also decided to test the ability to comment on the outside blog here. Cool! Great Idea! Thank-you all for your contributions...there is much I need to learn. I am just now realizing the ability this AR blogging has for SEO work and see my Localism and Profile now on Google Search. Amazing, I am so thankful for Dan my web designer for inviting me to this group. I have been welcomed by many and am enjoying the friendships I have made. Brad - Great idea of a) making it easier for us to follow ActiveRain happenings and b) showcasing your own newest feature. 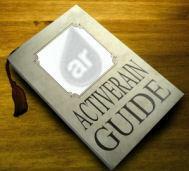 Thought...is there a way to build it so that the ActiveRain Outside Blog can be subscribable within ActiveRain. I mean I know I can add it to a feed reader, but if there was a way we could add it to our subcribed blogs within ActiveRain, it would make it even easier to be a "one stop shop." Just thinking out loud. This is perfect. I have signed up for so much stuff and I hate to say it, but I am not sure I have done it all correctly or where I should go now that I have signed up for stuff, now I have an index at my finger tips. Thanks! Brad - Having all information in one place is the best idea. We don't have to go all over the place searching for who post what and where. Thanks! If you keep developing new stuff, I never will catch up:) but thanks anyway. This is great stuff.. I look forward to stopping in at one place for this type of information..
Brad, enhancement to Active Rain just keep coming. Kudos to you and the whole group. Wow...Just amazing amazing amazing. Thank you guys! Please keep us updated on how many hits your outside blog is getting. It'll be interesting to know. Bruce - great point and observation my friend. Fran - not all wisdom, but hopefully enough to keep you coming back, check out Jon's most recent post. Kris - the ActiveRainGuide is something I have wanted to do for a long time now and just didn't have the means or resources to pull it off. Now we do. I'm really excited about it. Debbie - each of us will still have our own AR Blogs, but we'll post the proper content in the proper locations. If I do a post showing how to get wine out of the carpet, it probably won't end up on our group Blog or on my individual outside blog, most likely just my AR Blog. If I post a tutorial, it will most likely go on the ActiveRainGuide Blog and not the others etc. etc. That's actually a GREAT idea! Finally my blog-fearing co-workers will group together and do THIS! I'm trying to get it all figured out...How can we get out logo up if it's not one of the selections? Brad..I'm coming around to the idea, but I'm very independent and I'm not likely to purchase a new model till the kinks are all worked out. Be patient with us and we will follow when a winning thought is in deed proved a winner. Only comment on the line up..Claire needs to be in the middle of you guys not at the end, she will keep the ball rolling you might as well admit it from the start. Then again my Localism doesn't work either, it says, "Temporarily disabled" which I've discussed with your peers already. Sounds great! Keep up the good work. Thank you! I think I may have to take a vacation day or call in sick just to stay up with all the wonderful stuff. Let's see, if I call in sick and I answer...oh never mind. Brad:) Cool idea! I will be joining in the fun! Thanks to AR for all their hard work. You guys have made so many changes lately that I'm giving up on trying to figure out anything else. I've never paid for a blog, and never will so that's not an option. And by the time you added the outside blogs, I had already created folders and bookmarked all my AR posts in my Foxmarks. I wasn't about to go through hundreds of posts to "file" them again. So I've lost major SEO, since my links remain inbound. Then there's Localism. That's a whole other story. I give up on trying to keep up with so many changes; especially when it's obvious that it's all being done for the money. I totally understand that the investors want to make money, but I was perfectly happy with what we had before. Now it's a bunch of stuff I can't keep up with, let alone afford. I'm still posting blogs here, but now I'm equally focusing on my WordPress blog, since for the last few months, that's the one that's been getting the best SEO. Brad: This is GREAT news to hear that all will contribute to a a single information blog ! I have not signed up as of yet, for one of the out side blogs. Have been thinking it over. I want you to know, I have not lost one bit of my SEO, from the changes. That Active Rain has been doing. There is one funny thing going on, folk's that use a bolg skin. You can no longer use the search, groups, blogs, and my home. Buttons on the tool bar anymore. Is AR going to fix it so folk's can use them? Glad to know, Y'all have a Team Blog. For all of us to come and find info out at from Y'all. When we need a bit of help. Keep up the fine things Y'all are trying to do for the members of the community. I hope to have my new outside individual blog with you guys up and running next week. Rich, this is a great idea and you've got an incredible team there! Top of the line fine! OK, parked for the gossip! Really, great idea, I am getting ready to start my new one, so I will know where to go when I blow things up. Thanks for the great updating on what is happening. I would think this would be great for brokers. I'll be watching to see how it develops. I like Virginia's comment: "parked for the gossip." Commentary in the Rain is as good as the post. Brad, this is great , great, great!!! I love that the I will have "one stop shopping". Russ - that will be one good benefit, I see a few others as well. Jason - thanks for doing that, I'm glad you confirmed it works. We should talk later, couple things I can let you know about that are coming up and you might be interested. Vickie - don't forget to check our individual blogs too, not EVERYTHING from each of us will be posted to the group, that's the beauty of ActiveBlogs, AR Blogs, and Localism, you can post what you want and place it where it needs to be. My RE Tech Stuff will post to my RENetBlog, my AR Tutorials and how to posts will go to ActiveRainGuide.com and my AR news, updates, musings, gossip etc can go to ActiveRainTeam.com. Localism is the next big project for our group so I am preparing to start writing Local and Community event info. One blog platform with the ability to post just like normal, but have every option and placement possible available, I think we may be a bit ahead of our time, but I love it. I'm so glad to hear this. I appreciate all the posts will be in one blog. Less bookmarks for me. Thanks! Audrey - you can always contact me if you need help with any of the things you are signed up with here on AR. I have always had tutorials and how to's on my profile here on AR, and thought now would be a good time to take advantage of the ActiveBlogs to not only share my posts and how to's but share other contributors as well. Watch for the ActiveRainGuide.com launch next week. Steve - there are only a couple kinks left and they should be worked out by this weekend. Regarding the comment about Claire, she needs to be at the top, and she will be when she writes and adds a post to the new Blog. The contributors sidebar always moves the most recent contributor to the top. Most group Blogs who are multi-authored work that way. Karen - I just tried both links in this post and her photo and link both took me right to her Outside Blog page. You can also click on her link at the AR Team blog and it will take you to her about me page. Dona - it will be fun indeed! Thanks. You guys have made so many changes lately that I'm giving up on trying to figure out anything else. Lisa - it's true, we are the only network on the planet that offers all the features to our members that we do. There is NO other platform that includes all these tools ie: Listing router, referral exchange, SEO, Free Blogs, Outside Blogs, Localism, etc. etc. The only one's we charge for now are Outside Blogs. All the other paid items and services are optional. If you sold one house or converted just one lead thanks to your efforts and ours here, having this FREE platform available has most certainly paid off for you. I know it has for me and for many others. I've never paid for a blog, and never will so that's not an option. Aren't you glad that buyers and sellers don't think like this when it comes to working with a REALTOR®??? No one says you have to pay for anything, that's the beauty of AR and the ability to make choices. Roland - you can probably see how this would work for a Broker, an office, a Real Estate Team, Property Specialists etc. We are setting the trend here, it's where the future is headed. Group and Team blogs will become very competitive because we all know that multiple voices combined together carries great power. Almost every one here has commented how nice it will be to have all our stuff in one location, one stop shop etc. Now think how the consumer would feel if they saw your group blog in the same light. I think the point has been driven home based on the consensus and comments here. There's Value!! People like to have information and access to it ALL in one spot, or one stop shop. The group Blogs are really the way to go in my opinion. Look what agentgenius, zillow, bloodhound, raincityguide, mytechopinion and many others have done, now the Brokers, REALTORS, and other members have a chance to do the same thing right here. Dale - thanks for sharing that my friend. SEO will only get better for everyone. Even comments are now getting picked up and my google alerts have gone off the hook. The links at the top of your toolbar on AR work on the main AR page, but not on your individual Blog site. Internet Explorer has an issue with them and the guys know about it and will have it fixed shortly. Awesome, Brad. Thanks for putting the pieces of the puzzle together. I know when I started out here on AR I had a ton of questions that weren't always easily answered. Hi Brad~ I'll be looking forward to seeing how the group blogs work..you guys are perfect for it! I'll add the blog to my toolbar for easy clicking! Brad- thanks for the information! Besides bookmarking this post I have saved the 'offical' blog site to my 'favorites' so I can always find it easily!!! AND thanks for all the information on the phone the other day!!!! Hope your trip went well!!! Great idea. Thanks for sharing this information in a post. I'll certainly check out the new site so i can keep you on the latest and greatest. As you (and all other AR folks know) your members have a lot of questions about whats to come and what changes were made. Im sure you will get a LOT of hits there. Brad - what a great crew and a terrific add-on to AR. Heading over to check it out, and look forward to reading regularly. Active Rain I truly think is the best resource for an agent right now out there, its like an encyclopedia of information that is cutting edge and relevant. Rich kind of stands out with the suite and all. is he your token guy in a suit? Dorie - This would be perfect for brokers. Rebecca - we should be contributing regularly to our new blog, thanks for checkin in every once in a while. Kris - the puzzle pieces are coming together nicely now, always takes a couple days to work out the kinks. Maggie - it is long overdue and is still part of ActiveRain, but what better way to test out the new ActiveBlogs than to have our own. We can test and measure the results regarding SEO, traffic, content, plus benefit members and us by having it all in one place. Barbara - the trip was great, and the people there in Omaha were awesome. Thanks. John - I hope we get a lot of hits, not just for the SEO and tracking, but to also help keep our members and community informed. Putting all the information, annoucements, etc in one place is a great idea. Looking forward to some enlightening blogs from the team! Thanks for putting this out there. I stay away for about a week and you guys come out with this. This is great news! I've been working on getting others in our firm on AR and I think they are reluctant they 'aren't technology savvy'. Well, now I can point to one blog to help them get started. Thanks! I am trying to do a new post and this is what I get, everytime I click on new post. How do I add to my blog now?